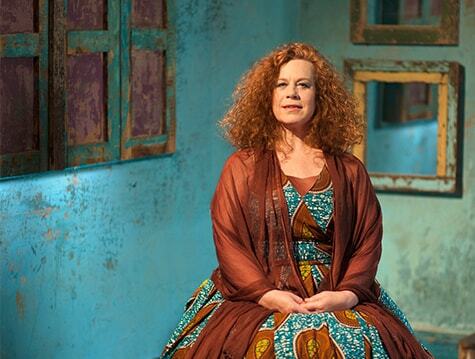 ‘Leave your preconceptions at home,‘ begins one London critic’s assessment of sensual singer-songwriter Sarah Jane Morris. ‘Expect just fantastic singing and intense brilliance. ‘Morris does not interpret soul. She is soul, with all its passion and pain, joy and sorrow, hard times and highs.’ The Gazette, Montreal. Sarah Jane trained as an actress at the Central School of Speech and Drama, alongside comedy duo French and Saunders, actor Rupert Everett and film star Kristen Scott-Thomas. She found fame with The Communards and with the BBC ban of her version of Me and Mrs Jones. Since then she has become a world superstar, with hits in Japan, Germany, Greece (two no. 1 ‘s), and Italy, (awarded the key to the city of Verona! ), honoured with a European Grammy and won the international San Remo song festival. Come and see a “flamboyant, idiosyncratic singer on the borders of jazz, soul and pop, she’s a majestic if raw-nerved singer of awesome eloquence“ The Guardian.